Which Class is Right For My Dog? At All About My Dog, we offer a unique experience that combines training, wellness services, premier products and community. Discover a new and fun way to communicate with your dog. Forge a natural and lasting bond. 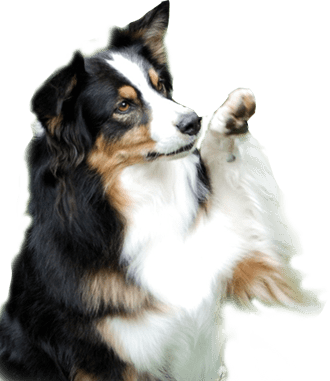 The Lisa Rockland Method is a unique behavior-based curriculum that addresses the real-life issues you and your dog may be having as well as “traditional” and fun obedience learning. Our blog focuses on the training, wellness, community and products that will help you live your dream with your dog. The Lisa Rockland Method with its focus on balance, calmness, honor, and fun, empowers you to communicate with your dog in a new way, a way that answers your dog’s questions. Once you can communicate, your dog’s unwanted behavior will change. Often immediately. We offer both Group Classes and Private Training. We believe the whole dog includes what you see: Its size, its breed, its personality, as well as what you don’t see: its mental health, physical condition, and structural integrity. Our wellness services promote the health and wellness of the whole dog, and enrich the bond between dogs and the humans who love them. The All About My Dog family of service providers, partners, and dog lovers is ever-expanding. Become part of our community by learning more about our partner shelters, rescues and health facilities, who—like us—are committed to helping dogs and people in need. See if your dog is a CGC or Therapy Dog candidate! Our expansive 2600 square foot Dog Center features a wide variety of dog supplies and accessories hand-chosen by Lisa Rockland herself. Each of the products we offer has been tested by Lisa and her dogs and thousands of student dogs over years of teaching. We’ll help you select the right products to meet your dog’s age and behavioral needs. BARKBACK The Latest from the AAMD Blog! - Rescues come in all sizes, colors, and shapes, from near and far; they are young and old, healthy and not. We think they need love and a forever home. But they also need a loving family who cares about their diet, their physical condition, and their mental health. Check out this wonderful story! 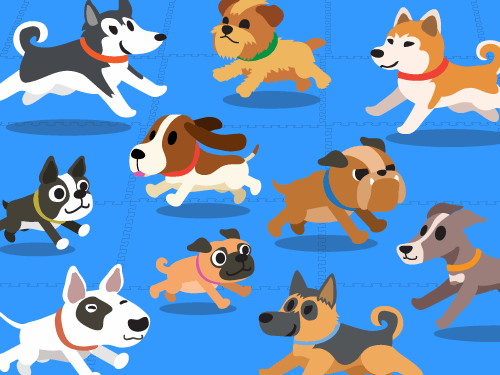 Lisa Rockland is teaching puppy class again! The 6-week session begins on Sunday, April 14, at 3:00 PM! Join vet tech and DREAM DREMELER, Andrea Berberian, for on-site dremel nail cutting services. Let us be your dog food supplier! We’ll stock it for you! At All About My Dog, we want you to live your dream with your dog. That means empowering you to communicate with your dog in a new way, a way that answers your dog’s questions. Once you can communicate, your dog’s unwanted behavior will change. Our mission is to promote the successful Lisa Rockland Method of training with its focus on balance, calmness, honor and fun. We also offer health and wellness services for the complete dog as well as premier, natural products that enrich the bond between dogs and the humans who love them. Lastly, learn more about the AAMD community, Lisa’s amazing family of service providers, partners, and dog lovers who, like us, are committed to helping dogs and people in need. Lisa is truly amazing at what she does. Not only does she have a deep understanding of dog behavior, she is amazing at coaching humans how to be the best dog parents…Learning how to handle your dog properly from Lisa will enrich your and your pupper’s lives forever! She has been a very different dog since our visit. My family immediately noticed the change in her. She has not even needed her medication because she is so relaxed! Our newsletter is full of training tips, upcoming class & event announcements, new product reviews, fun facts, and more! It’s quick and easy to join and of course it’s free! The entrance is through the side door by the red, white and blue fire hydrant. Please use our dog-friendly potty area only. Thank you! By appointment only. Please email to request an appointment. ©2019 All About My Dog. All rights reserved. Terms and Conditions. Please wear flat, comfortable shoes or sneakers. We do not allow shoes with heels or “outside” shoes on our custom blue floor. Please be sure to bring an extra pair of shoes to change into during class, if necessary.